Handbag doesn't have enough pockets? Need to keep your things organised and tidy? 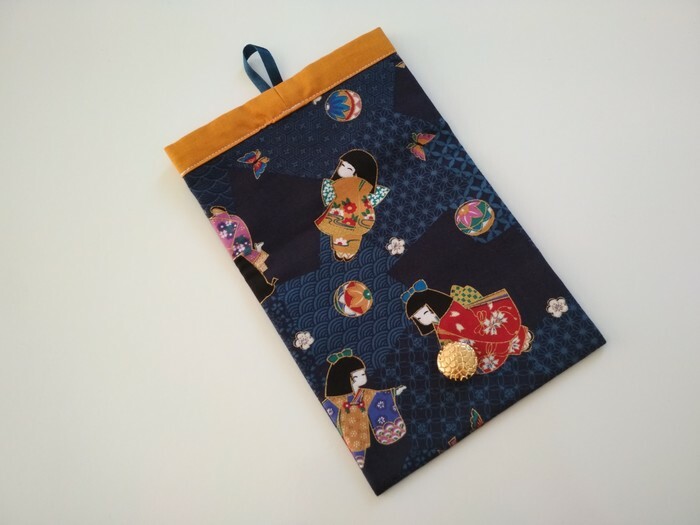 This set of organiser pouches is sewn using cute repurposed fabric featuring Japanese girls in kimonos, balls, pinwheels, cherry blossoms and Japanese geometric designs in blue. (Can you tell I love this fabric?!) Each pouch is lined with a butterscotch yellow contrasting fabric. 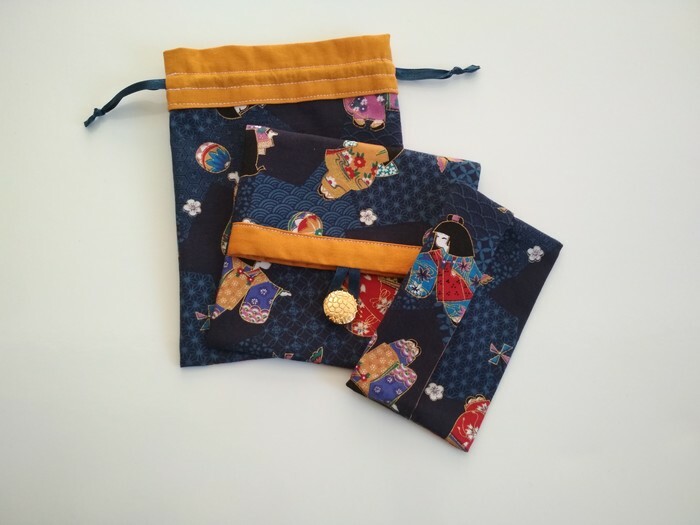 The set includes a tissue holder, small drawstring pouch and button & loop closure foldover pouch. 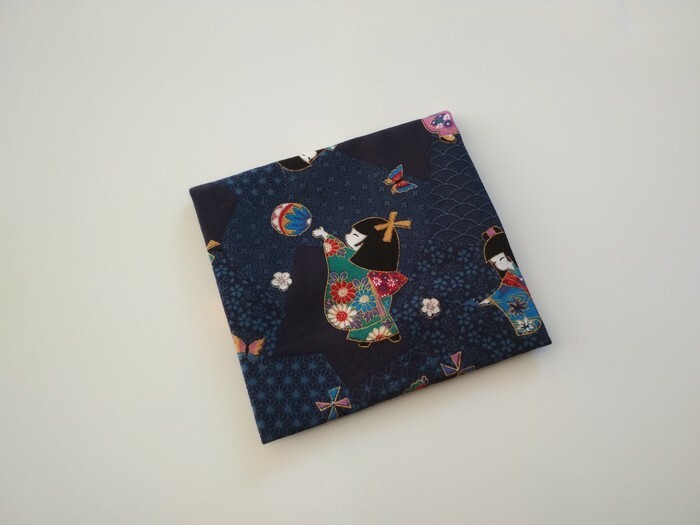 All pouches are made from 100% quilting cotton, fully lined with a contrasting/co-ordinating fabric, and have no raw/exposed seams inside. 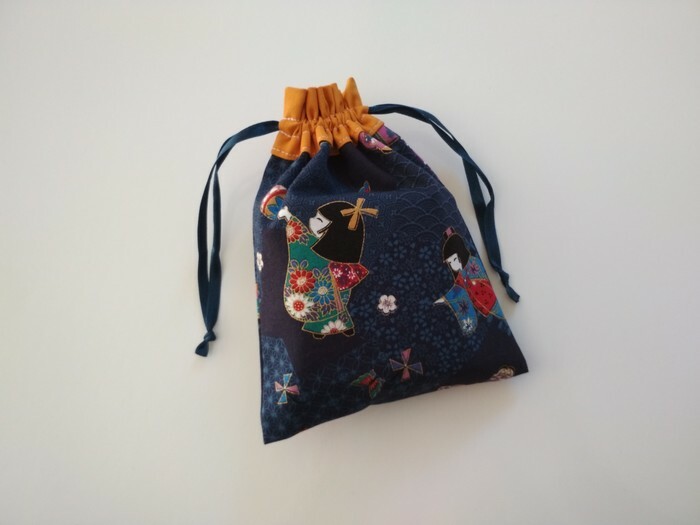 I have made both the drawstring pouch and foldover pouch just the right size to be a discreet way to carry any feminine hygiene items you need to carry (they fit a few sanitary pads inside), but you can use them to hold any thing that will fit in them to suit your needs. (Please make note of their individual size. For example, they may be too small for some mobile phones, etc. 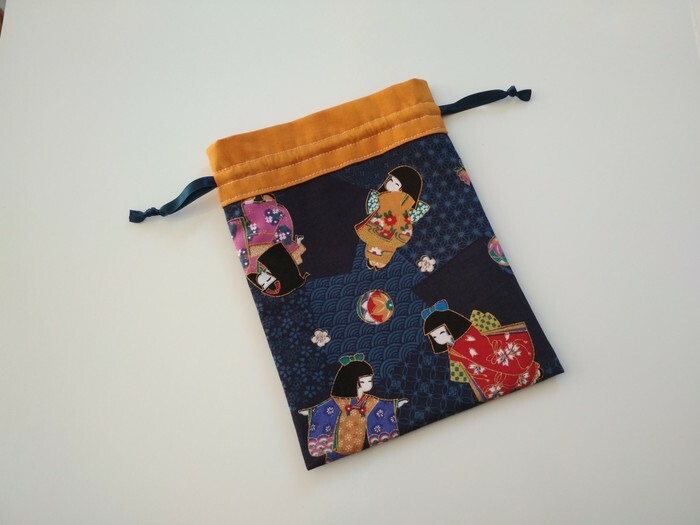 The drawstring pouch has about 16 cm height of usable space; the foldover pouch 13.5 cm height). This listing is for the complete set of three. However, you may purchase each item individually or in a combination of your choosing, e.g. 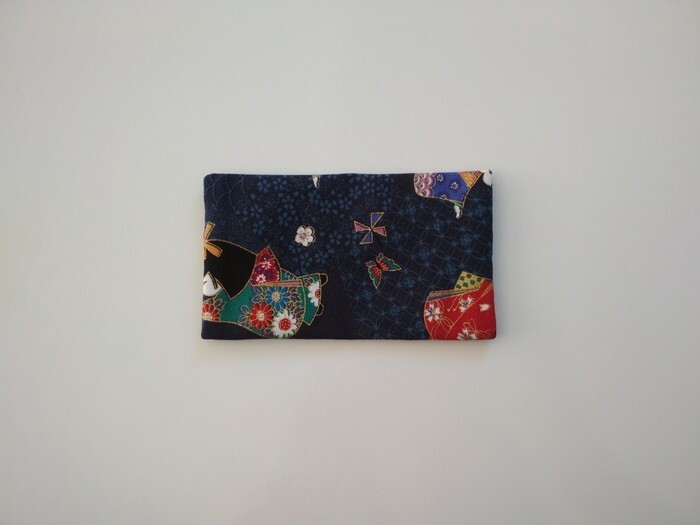 tissue holder and drawstring pouch, tissue holder and foldover pouch, etc. Please message me if you wish to customise your purchase, and I will set up a custom listing for you. Prices will differ accordingly, e.g. Postage may be extra for purchases other than a singe tissue holder. Please note: fabric placement design may vary from picture displayed if more than one is listed as available. While I have tried to photograph each item accurately, colour may also vary slightly due to lighting, screen settings, etc. My products are made in a smoke and pet free environment. Thank you for visiting Mulberry Handmade!